Type II diabetes and other metabolic-related illnesses are on the rise in North America. So much so that some researchers are saying that by 2020 one in three people in America will be pre-diabetic. That is huge! What’s more, the current medical system’s medicinal approach isn’t helping patients improve their lifestyles to prevent the onset or development of their metabolic condition, but often rather using a pill as a band-aid solution. With our sedentary, fast-food oriented, go go go lifestyles, one needs to slow down and look for other preventative measures out there. Of course, diet always comes first. After all, we are what we eat. However, there do also exist many natural botanicals and supplements out there that can take the place of medication such as Metformin, which is regularly prescribed to manage diabetes. One of such botanicals is Berberine—a yellow-colored alkaloid compound found in several different plants and has a long history of use in traditional medicine. Having similar mechanisms of action as the drug metformin, berberine can also be used as an oral hypoglycemic for Type 2 diabetics. Produces results in clinical trials in improving Type 2 diabetes on par or better than conventional drugs including metformin. Improves blood lipid levels better than statin drugs. Lowers blood pressure as well as any class of antihypertensive medication. Improves liver function and promotes anti-obesity effects. Exerts significant beneficial effects on digestive health and the microbiome, in turn benefiting immunity as well. What Other Benefits Does Berberine Have? Many of the health benefits provided by Berberine have been linked to its ability to activate adenosine monophosphate-activated protein kinase or AMPK for short. AMPK plays a very important role in regulating metabolism, and low levels of it have even been linked to insulin resistance, mitochondrial dysfunction, obesity, and chronic inflammation. Compounds in Berberine have also shown to be beneficial for digestive health and the microbiome, specifically with treating small intestine bacterial overgrowth (SIBO). In addition, AMPK has neuroprotective properties, making it helpful in also naturally reducing symptoms of depression and anxiety by increasing production of healthy neurotransmitters. This neuroprotective factor has also been shown to decrease the risk of Alzheimer’s and Parkinson’s disease. Berberine’s anti-inflammatory properties have also shown to reduce the effects of cigarette-induced acute lung inflammation. The current recommended dosage for Berberine is 500 mg three times a day, for a maximum of 1500 mg. 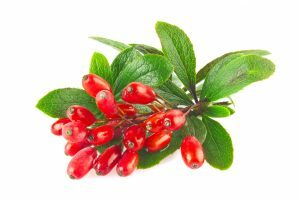 Since Berberine has a short half-life, it is recommended to take it at three different times to ensure that its levels are stable in your blood. It is also recommended to take it with food to take advantage of the sugar and fat spike that occurs after ingesting a meal. Since Berberine helps with lowering blood sugar, diabetics who are already taking blood sugar management medications such as Metformin and Insulin should be wary to not lower their blood sugar to a dangerously low amount, which can result in dizziness nausea, fainting, and other health complications. Also, pregnant women or women who are nursing should not be taking Berberine unless consulted otherwise by their healthcare practitioner. With the increase in prescriptions being handed out left right and center for chronic illnesses such as metabolic syndrome, digestive discomfort, and even mental health, it is important to know that natural solutions are out there, and can sometimes work be as efficient if not more than the medication itself. Do your own research and check with your healthcare provider to see if and how Berberine may benefit you. If you are currently taking medication, be sure to consult with your doctor before trying Berberine.